For a mother, one of the most beautiful things is to feel their child grow in their belly as well as see them grow and learn in front of their eyes when they are born. Mothers want to provide for their kids and shield them negative stimuli when it is there. When our baby cries, we would like to know what the problem is, but it is easier said than done sometimes. The formation of teeth, for example, can be a tiresome and scary experience for parents as their child may become irritable, cranky and cry for long periods at a time. Since babies are not able to communicate they are in pain because of their new teeth most of the time, parents have to rely on signs and symptoms in order to identify the problem. Drugs of any type may have adverse side effects when taken by adults, and these effects are more intense for children and infants. Treatment options for kids are available, but there is the fear of overmedicating where the drug becomes toxic. For example, many of the topical agents for gum and tooth relief contain benzocaine, but research shows the use should be heavily moderated as it can affect oxygen levels in the body. Over-the-counter pain relievers such as ibuprofen and Tylenol are able to relieve the symptoms when used as directed, but they still not able to treat the problem itself other than taking care of the pain. Baltic Essentials Amber can relieve tooth pain in babies naturally unlike many of the medications used today. While some think the beads should be given to the baby to chew on when they are teething, this should not be done. The Necklaces and Bracelets available work in an effective manner when you place it around the baby's neck or wrist. The beads are made of succinic acid, the active ingredient, that have anti-inflammatory and analgesic properties that travel to the blood when it is worn. Swelling and tooth pain are both addressed and your child is able to grow their teeth in without feeling the discomfort. You will notice the positive effects babies not long after they wear it, and the beads will remain potent for months. As a warning, the necklace should be taken off when your baby is sleeping in order to avoid choking. It is also advised not to wrap them around their leg as an ankle at night unsupervised. Use coupon: TEETHING20 to save 20% Today! It feels as if it was yesterday when you brought your baby home for the first time, and now the once gummy smile is beginning to fill in with teeth. Parent after parent find it difficult to help their babies during the uncomfortable teething process, especially when it grows hard to get them to calm down. While there are other chemical and synthetic options available to help with teething, using them does not sit well with a lot of moms and dads. Children have a higher absorption rate compared to adults, and drug use (topical and oral) can cause adverse reactions. Knowing this, many parents prefer to take the holistic route. Baltic Essentials Amber is a popular natural solution for teething that has been used for hundreds of years to ease pain and fight inflammation. Safe and organic teething relief for babies are out there and proof to be effective. The prized power of amber is succinnic acid that is released from the beads when the it is warmed from the body and sent to the blood. The result is a reduction of pain from the analgesic properties and decreased swelling within the gums. A great bonus is that amber also helps boost the immune system by promoting normal and enhanced function. The relief amber gives continues as long as the necklace is worn, but care should be taken to remove them night when unsupervised in order to prevent suffocation. The effects are noticeable just from wearing the jewelry, it should only be worn and not used for biting. Your baby will have a tearless teething process with Baltic Essentials Amber the entire time from the high, but safe, levels of succinic acid. Baltic Essentials sells 100% pure amber is used to ensure your baby will get the best results. The necklace can last for as long as 3-4 months without needing to be replaced and it may be worn all day if it is desired. Many parents notice a positive change in their baby's emotional state and mood in as little as half an hour. Although your baby may not be able to talk and state say their thanks, they will appreciate the miracle necklace given to them to help the pain. With the discomfort out of the way, they will be able to feed and have better quality sleep. When you are a parent that has to deal with figuring out how to make your upset and discomforted baby into a one one if their teeth torments them. you may look around to find the most widely recognized strategies other parents in your shoes have attempted from teething rings to massaging. If things didn't work out, may have also tried pharmaceutical cures that you rub on their gums such as Camilia -- they may prove to be useful for a more moment or two. Just when you think you found the perfect fix, your child begins wailing again and, in defeat, you think to yourself that there must be a better way. The good news is that there is! Millions of years ago, amber was formed in antiquated forests and were warm to the touch. Whether it is kept whole and shape, or refined and powdered, amber has long been used to help treat pain naturally without having to worry about side effects. The results of amber can be underappreciated unless you use it yourself or for someone you know that needs it. Speaking of which, another thing to take into consideration is how to pick your newborn child's teething necklace. When you start your Amber Hunt, you may be interested in the effect it has had on social orders as a fortune and a well-being cure.Likewise, you may be astonished by documentation as to how amber treats many forms of pain -- not just teething. Amber also has a positive effect on the mind and immune system. The Greek name for Amber is "electron" which, interpreted into English, implies electricity. If you want natural Baltic amber necklace of the best qualify, you should always look for one that has been handmade, It should be by someone who can precisely string and superbly adjust the amber into the the form of a Bracelet or Necklace. It should be from someone who only uses authentic amber and not the cheaper knock-offs. If you were to get your baby to wear just a necklace or bracelet for even a couple of hours a day, they would be sure to reap the full benefits. One of the best solutions available for helping your baby who is in teething pain is to allow them to use Baltic Essentials Amber. Baltic amber discharges mending oils that will help them get rid of the pain that was once agonizing them. While there are several techniques one can use when giving their child their necklace, there are definite do's and dont's to follow to get the most out of amber necklaces. The infant doesn't bite on or gum the necklace. This lessens the danger of stifling as you're not urging your child to place things in their mouth. When worn, the necklace will be at a length that keeps it far from enough from your baby who may be tempted (some still will). Furthermore, amber necklace is secure and it is difficult to break no matter how much tugging or pulling your child may do. Most notably, it is useful as a natural pain reliever. More and more people are abstaining from the idea of drugs to find safer options that work, and this is most definitely one of them. The effects of the necklace are extremely long-lasting and you seldom have to replace them. Cleaning the necklace is extremely easy and can be done in a matter of seconds. If folded, the necklace can be worn as a bracelet (This is especially important when your baby is sleeping is sleeping or resting because they should not wear the necklace at all then in order to avoid choking). Teething: it may have been a while ago for most of us, but we’ve all been through it, and anyone with a new baby (or even a puppy or kitten) has probably had more recent reminders, all along the tips of their fingers! Teething is a necessary fact of life. 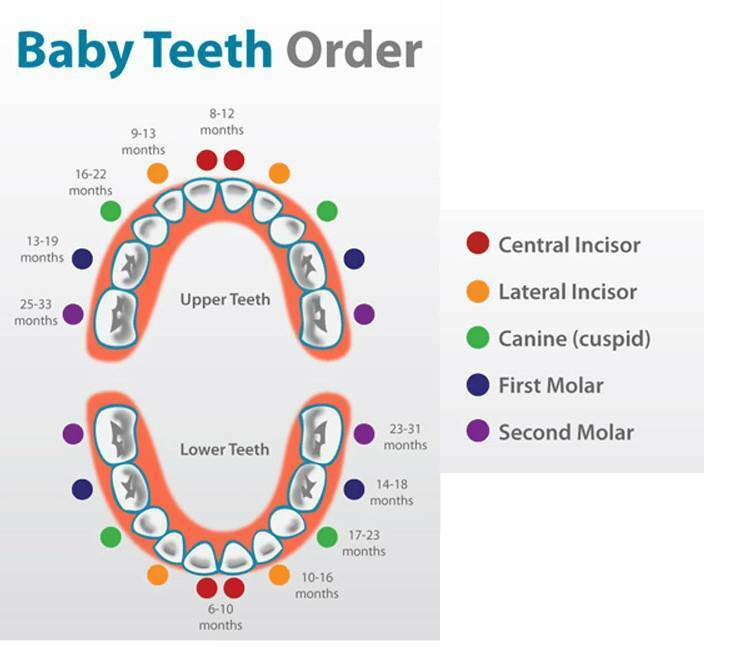 Usually beginning at around three to six months of age, a baby’s primary teeth push through the gums, beginning with the lower set until eventually, all 20 teeth have pushed through. As the teeth are penetrating the soft gum tissue, the pain that comes with it can range from uncomfortable, to outright excruciating for some little ones. The gums also swell around the incoming teeth, prompting many babies to chew in an effort to relieve the pressure that comes with it. Symptoms associated with teething range all across the board, so parents usually implement only the necessary measures to help their kids get through those tough few first months. Some babies will simply use gum at their own fingers in an effort to alleviate pressure, while others will be more prone to crying or irritability, some even straight up refusing to eat or drink if their mouths are too sensitive. Teething also stimulates babies to salivate, so excessive drooling is a symptom many new parents are all too familiar with. All this excess drool can run down the chin, leading the skin to chafe, or even result in a rash, which can make for an understandably cranky child. Whatever your baby’s teething symptoms reveal themselves to be, every parent only wants relief for their child in distress, and many turn to the usual tried and true solutions to help ease the pain that comes with the process. Using a finger to massage sore gums, cooling the irritated area with cold food and drinks, and even some extra hugs and cuddles can go a long way in soothing teething pain among infants. Why Baltic Essentials for Teething Pain? Some parents also look to the healing power of Baltic Essentials amber as a supplemental solution to help with their baby’s teething issues. A homeopathic remedy used for thousands of years, Baltic amber comes with many benefits. 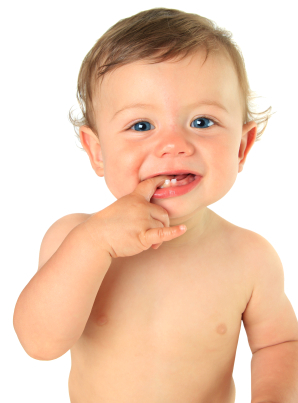 Here are just a few ways it can be a great choice to help sooth teething. It’s all natural - There are certainly some natural teething rings out there, though the majority of plastic ones are made with harmful or even toxic chemicals, which can disrupt hormonal cycles, or even introduce carcinogenic substances to your baby’s system. Rubber rings containing latex might trigger an allergic reaction in some. Baltic Essentials amber is a naturally occurring, organic substance, and contains no harmful materials. It’s rich in analgesic oils - What makes Baltic Essentials amber so effective at soothing teething pain is the naturally-occurring succinic acid found within. The heat of a baby’s body releases trace amounts of oils, rich in anti-inflammatory succinic acid. This oil is then absorbed into the body, which produces a mild analgesic effect, alleviating pain and discomfort, naturally. Zero side effects: Many topical numbing agents have been associated with dangerous side effects, and some have been believed to lower oxygen levels in the blood in children under the age of two. Because succinic acid is naturally produced in everybody, there’s no worry of foreign and harmful toxins which poison the body. One playful choice for kids is the Baltic Essentials Polished Lemon and Green Jasper with Flowers Baltic Amber Necklace for teething babies. Not intended to be used as a teething ring itself, this beautiful necklace simply releases the healing goodness of succinic acid, which is absorbed through the skin and into the bloodstream. Calming and emotionally supportive, the green jasper found in this beautiful piece can help establish proper sleeping patterns among young children. Worn daily, the Baltic Essentials teething necklace can help to reduce symptoms commonly associated with teething discomfort. As with any teething item, always be sure to keep a watchful eye on your little one when wearing a Baltic amber necklace. Be sure to remove them at night when they are sleeping without supervision. The beauty of an Amethyst Necklace may really attract you upon seeing it. But do you know that it has meaningful role behind its enticing beauty? Many people use amethyst stones without the knowledge that it is extremely beneficial for the mind and body. Women, in particular, wear Amethyst solely because it is a good looking stone with an alluring color. You can wear it every day knowing there are health benefits that make it the perfect gift -- even to yourself-- for everyday use. Here learn why using amethyst stone is a perfect idea. Mixed with hazelwood for gut issues: Perfect for issues like GERD, colic, acid reflux, eczema, heart burn, ulcers. How an Amethyst Necklace Works? Wearing an Amethyst Necklace should not be thought of as a necessity you should prioritize using. Instead, think of it as another way of reducing your mental and emotional strains you experience every day; think of it as a resource that can help you when you are feeling down or upset or want to be more in tune with your emotions. In wearing this stone (amethyst), the energy coming from it helps connect with the wearers' emotions. Its proven effect for stimulating one’s emotions is able to reach the areas of an individual’s consciousness and provide an up-lifting effect. With that in mind, extreme emotions are reduced and stabilized within one's mental and emotional core feels peaceful and more relaxed. The amethyst stone is one of the most effective way to counter mental and emotional strains caused by the environment or within ourselves. The Amethyst Necklace is also proven to reach this energy within the heart to keep anyone who wears it more calm. The potent energy that transfers to a person will keeps you feeling more relaxed, and balanced (mentally and emotionally). Its balancing effect -- on the emotional and on the mental level -- is an essential way to keep these negative strains at bay and away from lingering in the mind too long. You can think of it is an instrumental channel for fighting mental and emotional strains. Understanding the wondrous ability it has on the mind and body helps you realize it is more than just a simple accessory; there is much more value to it. Let Baltic Essentials be the online store you trust to go to search for effective and quality amethyst necklaces for everyday use. How does the Baltic amber beads work? Baltic amber is a traditional homeopathic product that have been used for centuries. They are made in into beads and formed into necklaces or bracelets, and they are lightweight, beautiful, comfortable, and radiant to wear. Time and time again they are proven to provide a variety of health benefits to children as well as adults. The beads come in raw or polished finishing. The raw beads are just untouched and unpolished beads whereas the polished beads are machine polished. Baltic Essentials Amber Beads are possess anti-inflammation properties that are derived from the succinic acid (which is the primary substance of Baltic amber). Moreover, when the beads are worn by children or adults, the healing, homeopathic oil are transferred from the beads to the body where it will act as a healing agent. These natural, chemical free properties makes Baltic amber an ideal product to be used in children. How Baltic amber helps in child to fight with common cold? Baltic amber improves and accelerates the immune system. While a child is still growing, so is their immune system, so they are likely to catch the common cold easy. Your child being sick is not bad in the sense it lets you know their body is creating the antibodies it needs to fight infections in the future. The benefit that Baltic Essentials Amber gives is that it accelerates the overall healing process, and helps children fight the common cold faster. It is also proven to ease the throat, stomach and ear infections caused by common cold or fever. What are the other health benefits of Baltic amber in children? Amber may also be used to treat gum inflammation by getting rid of the swelling and reduce teeth pain. Sometimes child can have red cheeks and inflated gums as their gums are very sensitive. Baltic amber works in soothing any discomfort as it is a natural analgesic. The most fruitful benefits your child will receive when using Baltic Essentials Amber is that it will give peaceful calming feeling for them without the use of harmful drugs. Are Baltic beads safe for babies? Each jewelry is made of handmade natural amber beads and they are polished and finished in such a way that they fall comfortably within the baby skin. We take care of the comfort of the baby so that they do not provide any discomfort. Baltic Essentials ensures each bead is fixed in such a way that even if when one of the beads break others will not scatter. You can be happy knowing you are able to improve your child's health the natural way without using having to continually treat them with medication. Researchers have proved that when Amber is used in children at an early age, they get improved health benefits. It may seem that the beads are distracting to your little one initially, but later on they will pay less attention to it or chew it once they are accustomed to wearing it. No harm will come to your baby when you use Baltic Amber; however, remember to remove necklaces when your baby is sleeping or are unsupervised for a long time. When buying an amber necklace, be sure get organic, genuine amber from a reputable source. Baltic Essentials.com is a Dallas based company providing an authenticity guarantee. They certify each necklace is true Baltic Amber or your money back.